Recent studies indicate that the prevalence rate for autism spectrum disorders (ASD) is 78% higher than just 10 years ago. The pervasive developmental disorder (PDD) category, also commonly referred to as ASD, represents one of the fastest growing disability categories in the world. In the United States, ASD is more prevalent in the pediatric population than cancer, diabetes, spina bifida, and Down syndrome. The U.S. Centers for Disease Control and Prevention (CDC) now estimates that 1 in 88 eight year-old children has an autism spectrum disorder. How can you be better prepared to help these students be successful? School professionals should be prepared to recognize the presence of risk factors and/or early warning signs of ASD and be familiar with screening and assessment tools in order to ensure that students with ASD are being identified and provided with the appropriate programs and services. 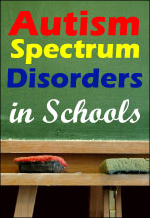 Offered by Professional Development Resources (PDR), a leading provider of accredited online continuing education, Autism Spectrum Disorders in Schools: Evidence-Based Screening and Assessment helps prepare psychologists, special educators, general education teachers, counselors, speech/language pathologists, occupational therapists, and administrators for working with this special population. Adapted from the award-winning book, Autism and Asperger Syndrome in Schools: A Best Practice Guide to Assessment and Intervention, the objective of this course is to summarize the empirically-based screening and assessment methodology in ASD and to describe a comprehensive developmental approach for assessing students with ASD.